We did it! 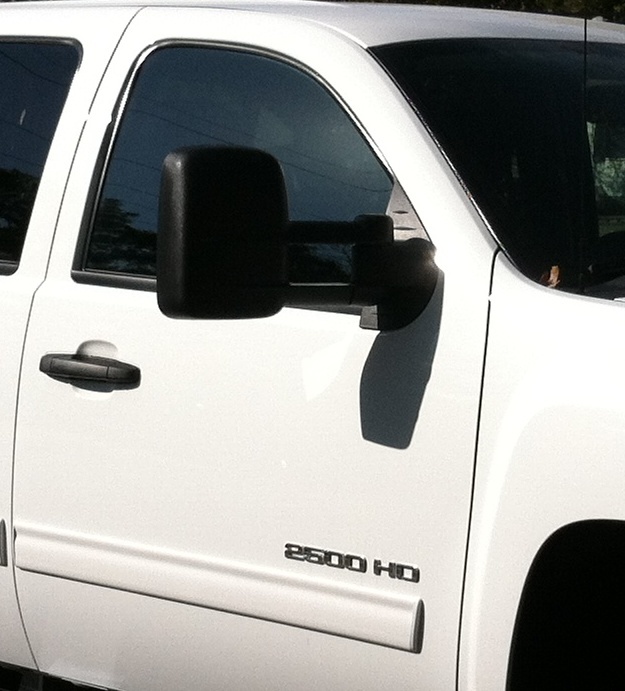 We bought a 2013 Chevy Silverado 2500HD pickup for more towing capacity. We tried to choose a vehicle that would not only meet our current needs, but would also accommodate a larger trailer if we buy one in the future. On the other hand, we didn’t want to go overboard with more truck than we would ever have a need for. The 4 wheel drive 2500HD with 6.0L flex-fuel engine seemed just right for our needs. We bought the crew cab version so we would have room for extra passengers when needed and to give us more interior cargo space. The back seat is huge and with the seats folded up there is a lot of room for luggage back there. The truck we bought is well equipped for towing with a class 5 hitch, factory towing mirrors that can be pulled out for trailering, Stabilitrak stability control with trailer sway control and hill start assist. The 3.73 rear axle ration seems like a good compromise between towing capacity and economy. 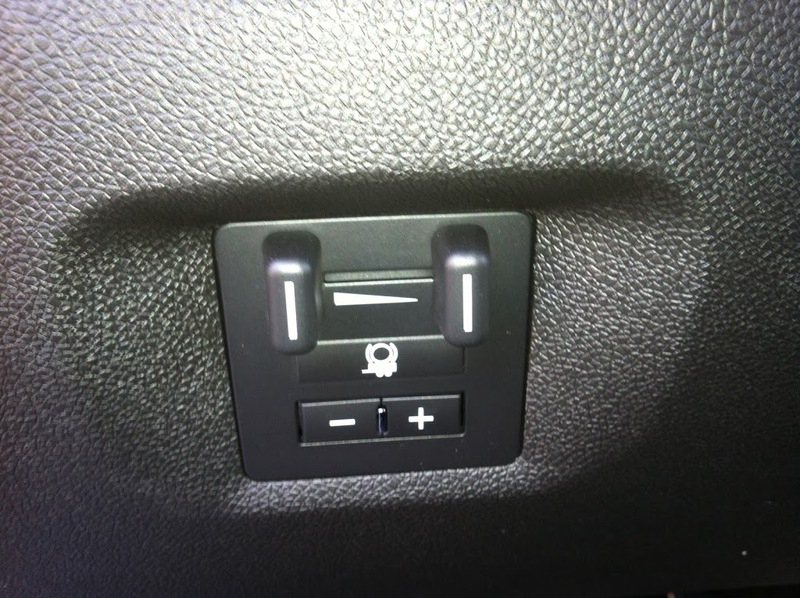 The 6 speed transmission has a tow/haul mode that can engage by pushing a button on the shift lever. This one also has the heavy duty towing package that adds oversize shocks and front anti-sway bar, factory brake controller and electronic locking rear differential. 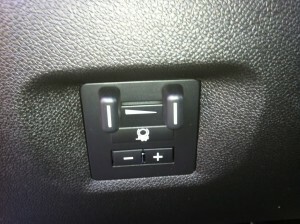 We had the dealer install the side steps and a bed liner. 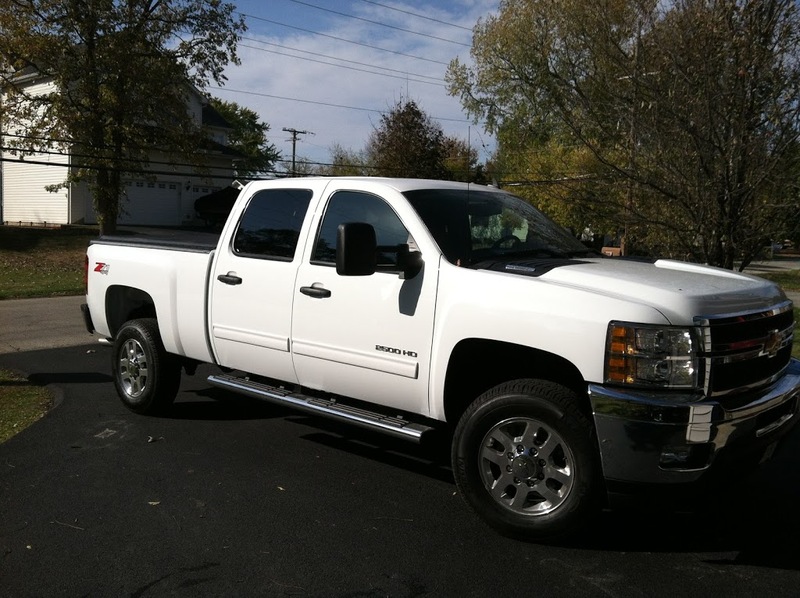 A tonneau cover and bedrail protectors came from a local truck shop. Congrats on the new tow vehicle! Wow, with all that truck you will have to check to make sure the TT is still following you. Isn’t this an awesome truck! We just bought one from the Chevorlet in Grand Rapids a few months ago! 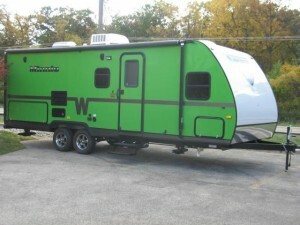 Along with that new truck came a fancy new fifth wheel! We love both of them! Thanks for sharing your pictures!